Spring turkey hunting is an ideal way to get a new hunter involved in the sport. An Online Hunter Safety class is the ideal way to get that new hunter certified for their first hunting license. Outdoor Roadmap is now offering online Hunter Safety Training that is approved for certification as required for the classroom requirement for Texas Hunter Safety, Florida Hunter Safety, West Virginia Hunter Education, Connecticut Hunter Ed and the Kentucky Hunter Safety course. 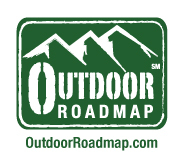 The Outdoor Roadmap online hunter safety course provides the convenience and time saving benefit available from taking the hunter ed course when and where students want to, wherever there is internet service. New hunters in Texas, West Virginia, Florida, Kentucky or Connecticut can take the hunter gun safety course online at their own convenience. The Outdoor Roadmap online hunter education hunter gun safety course is the newest online offering providing interactive learning, realistic photos and closed captioning as well as narration for maximum comprehension of the course material. Sample quizzes and a final exam prepare new hunters for the field day and proctored exam required by most states. Outdoor Roadmap Hunter Safety Training suggests a new hunter check with the state fish and game agency to determine availability of field days and sign up at the same time as enrollment in Outdoor Roadmap Hunter Education Gun Safety Class. Additional states are signing up regularly, so by Deer Hunting season Outdoor Roadmap will be offering online hunter safety training in over 15 of the major deer hunting states. The Outdoor Roadmap Hunting Training Course approved for state use in Texas, Florida, Kentucky, West Virginia and Connecticut has already trained numerous new Turkey hunters for spring turkey hunting season and has prepped them for their first hunt with the numerous informative articles on OutdoorRoadmap.com providing tips and guidance on how to turkey hunt. A similar library of Deer Hunting how to articles will be available as these new graduates of online hunter education safety training prepare for the deer-hunting season. In preparation for deer hunting season, new hunters should prepare now with a hunting safety certification class.